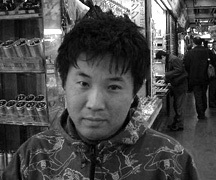 Hidetoshi Koizumi is not driven by a motor, nor are his works. Under the name Hybrid Leisureland he creates music grown of digital and rendered by the cold beauty of machines. 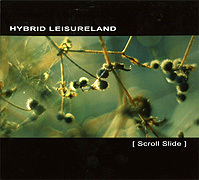 The CD Scroll Slide (67'37") holds nine (plus one) Ambient tracks. Those cycling in a minimalistic mode include crystalline patterns bouncing through echo along a curving helix while more spacious pieces feature runs of grainy piano keys beside reed thin organ. Bell-like notes waver in random chiming between harmonic overtones as airy soundwaves fluctuate and resonate in icy clarity and distorted glow. The sparse use of metronomic electronic percussion in a few places keeps this album from completely freezing over, even as a chilly sound current flows beneath. Scroll Slide is something of an organism of sound big enough not to fill the room, just the space inside the listener's head. A disfluence of introspective stillness, the result is mesmerizing. There is more to this than spacing out. This music is creative play - a mediation of the artist's experience, migrating from his mind to ours.